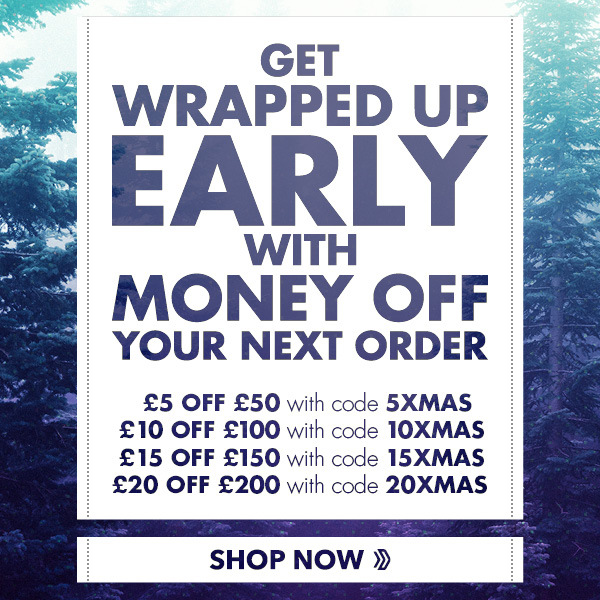 Get Xmas wrapped up early with our spend & save codes! Leisure Lakes Bikes - Get XMAS Wrapped up early with our spend & save codes! 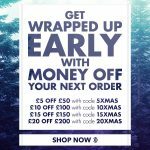 *Voucher codes expire on Saturday 18th November@ 11:59pm. 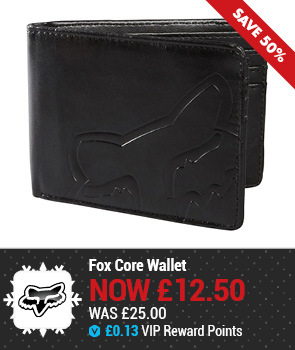 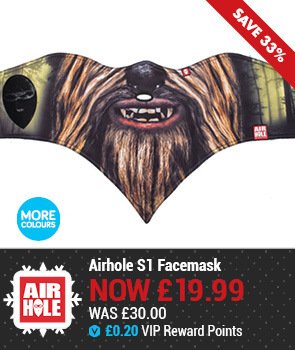 Can only be redeemed at time of purchase. 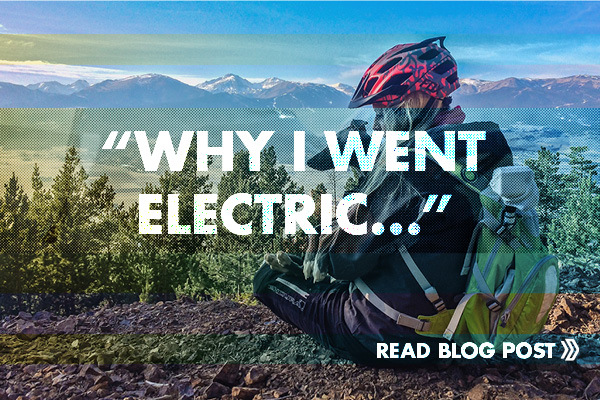 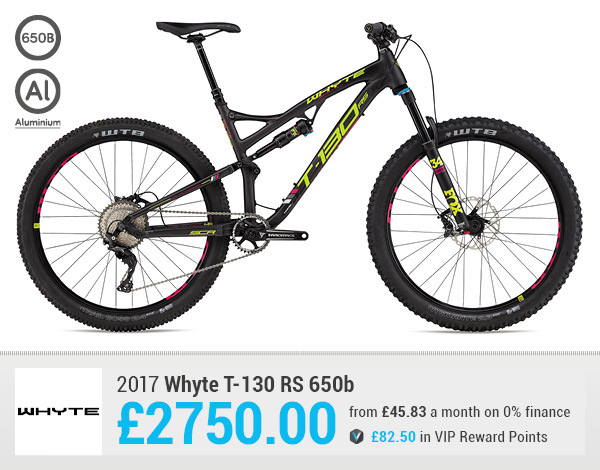 Can not be used in conjunction with reward points redemption, trading in a bike, halfords or cycle to work scheme vouchers. 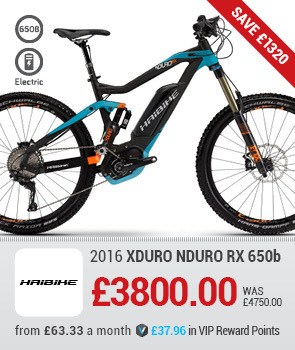 Prices and finance are subject to change. 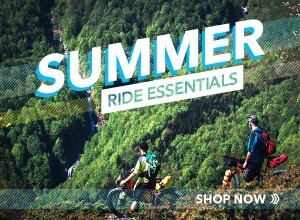 Please see www.leisurelakesbikes.com for current pricing and full t&c's. 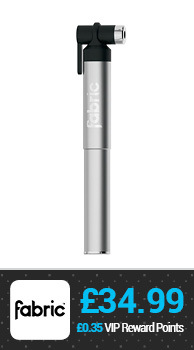 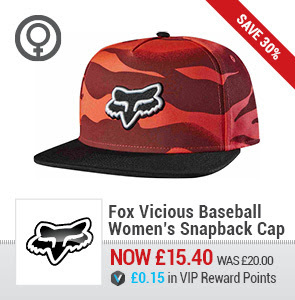 FREE UK delivery on orders over £10. 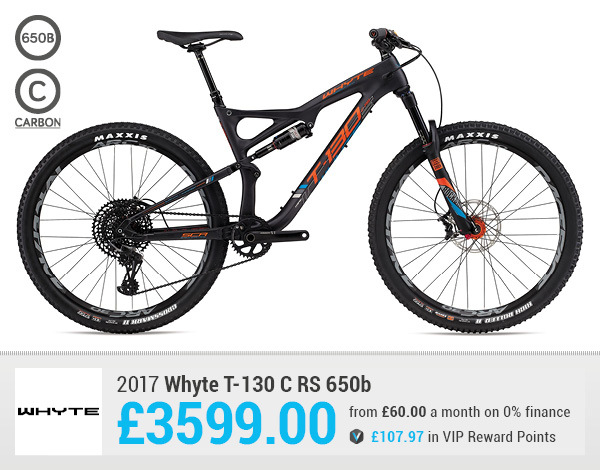 Trek, Whyte, Focus and Cervelo bikes are only available for click and collect at our 10 UK stores and cannot be sent for home delivery. 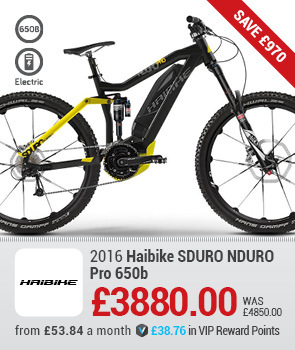 24 hour bike dispatch applies to in-stock bikes only. 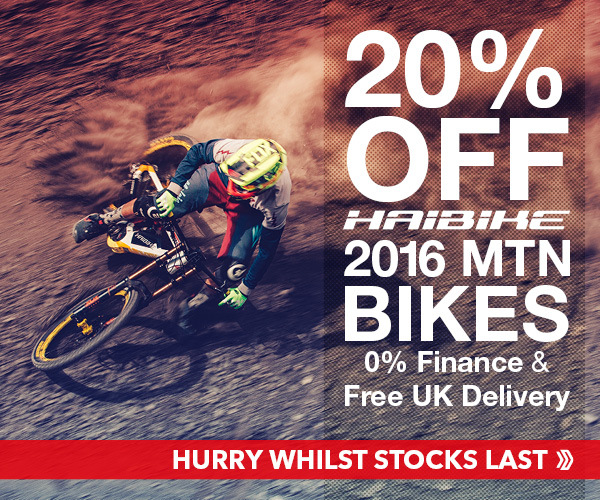 Order before 2pm and all in-stock bikes will be dispatched within 24 hours. 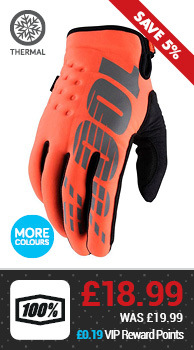 Please note all delivery services are from dispatch. 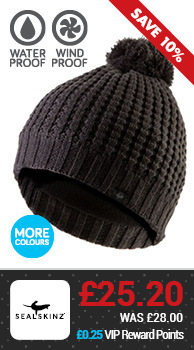 Special order items and items stocked in ‘other warehouse’ may have varying dispatch estimates. 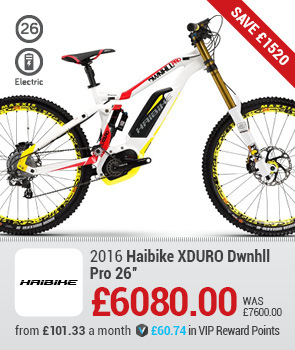 For precise delivery estimates, add your items to your basket and view all delivery options available. 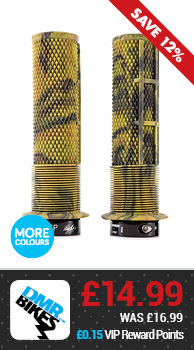 Extended area postcode delays/surcharges may apply. 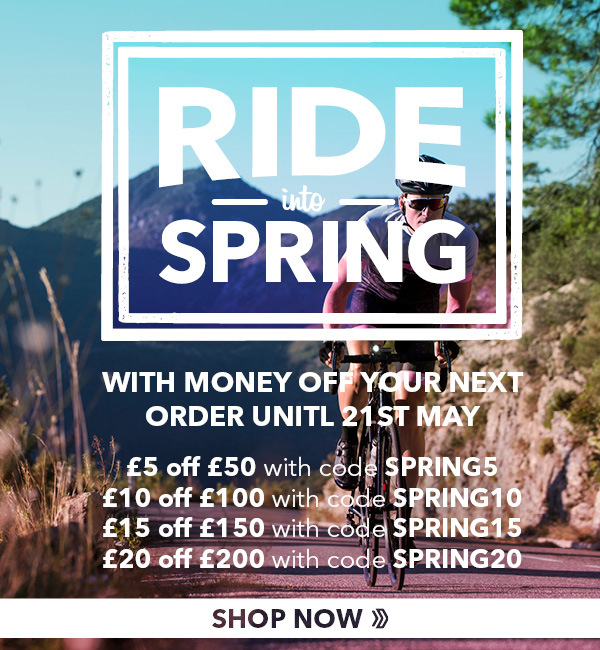 Money off Vouchers - Ride into Spring! 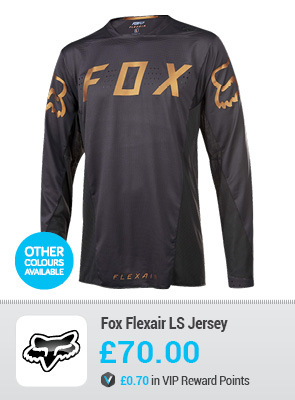 Fox, Endura, Altura, Fabric & More! 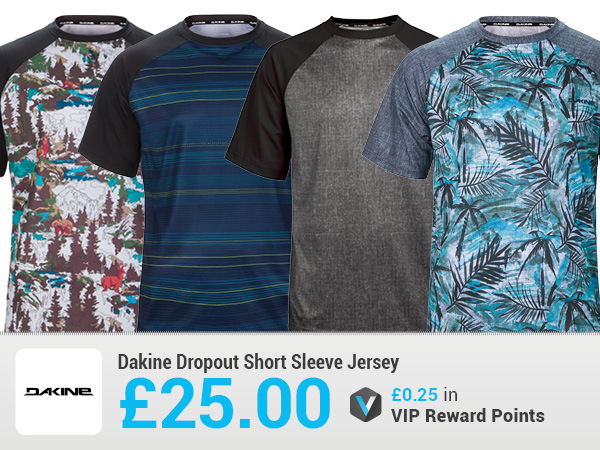 Earn VIP Reward Points on everything you buy online & in-store! 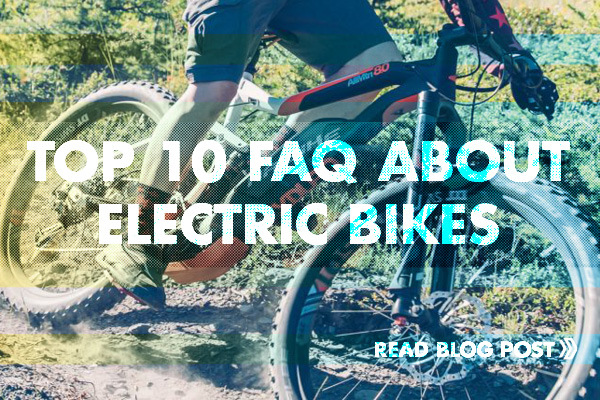 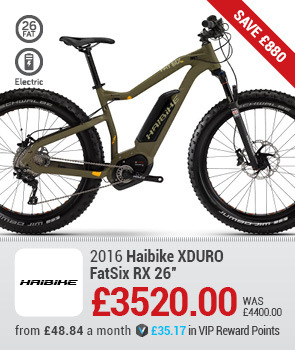 20% Off All 2016 Haibike Electric Bikes! 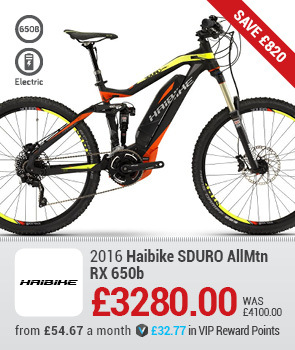 20% off all 2016 Haibike Electric Bikes. 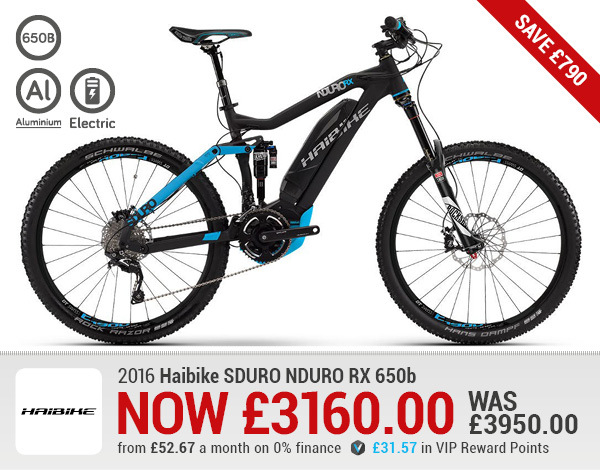 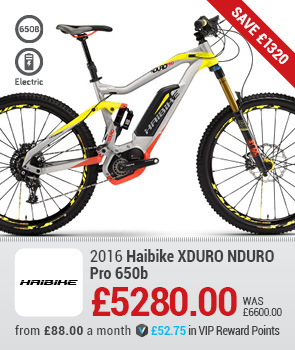 Save up to £1520 in our 2016 Haibike Electric Bikes sale. 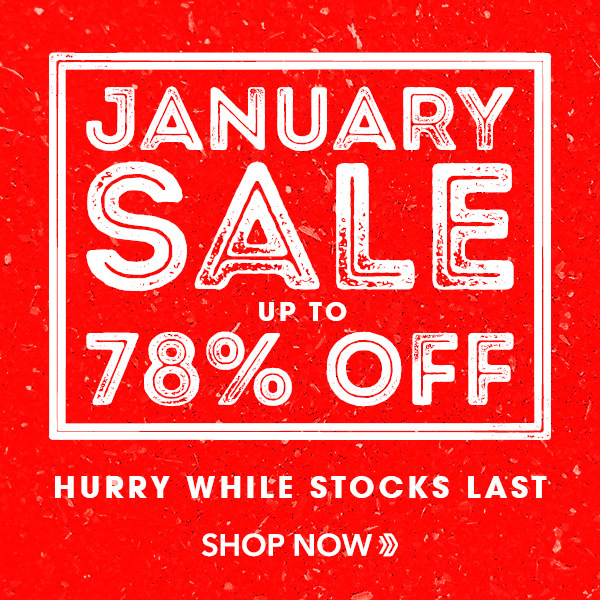 January Sale Up To 78% Off! 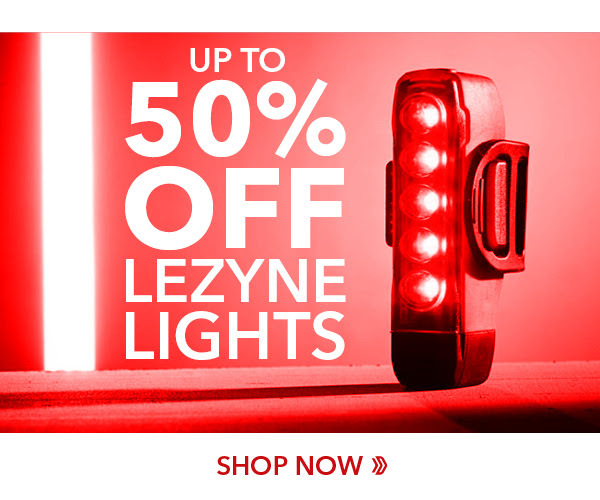 UP TO 50% Off LEZYNE LIGHTS! 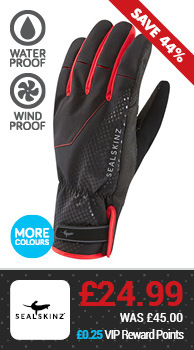 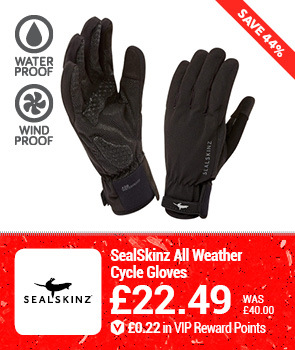 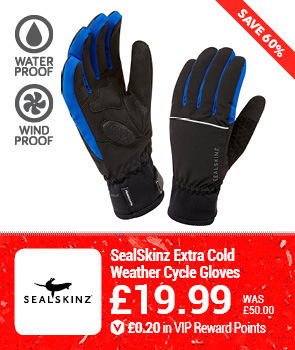 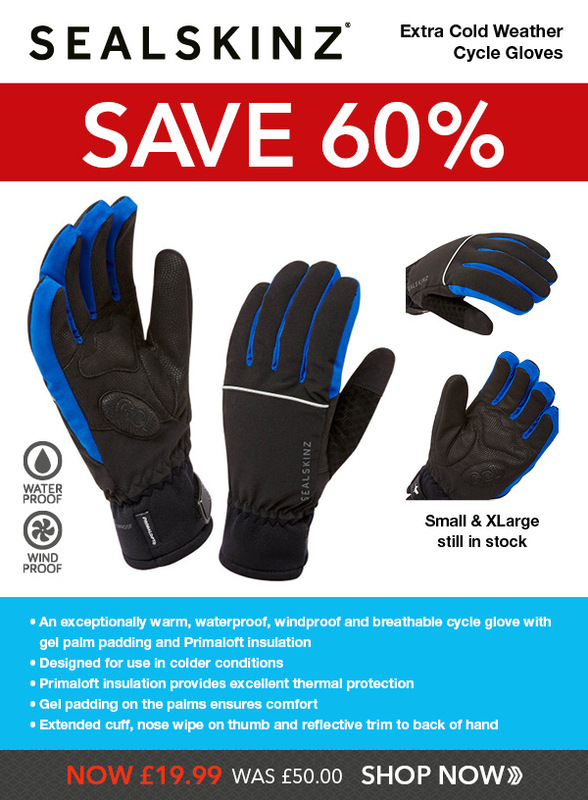 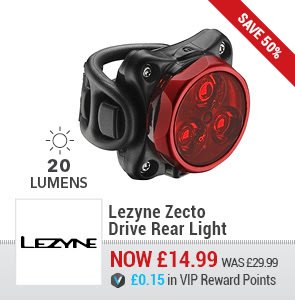 Special Offers...Lezyne Light Set and SealSkinz Extra Cold Weather Gloves! 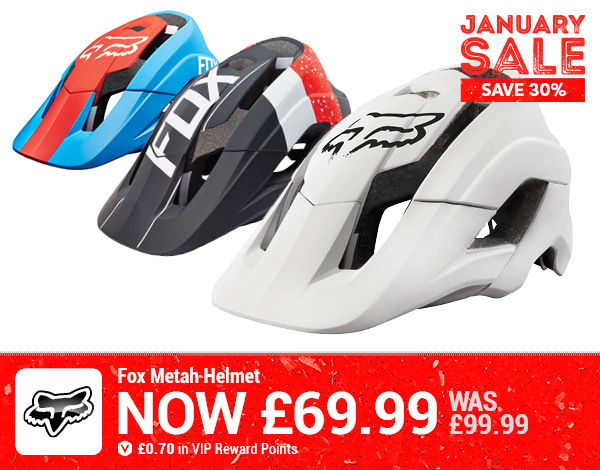 Price Drops...Fox Clothing & Bell Helmets! 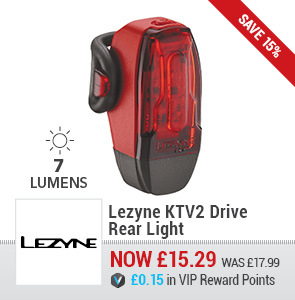 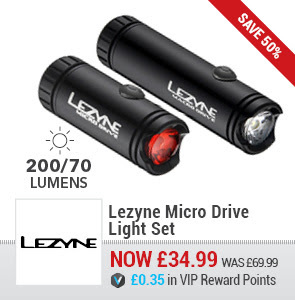 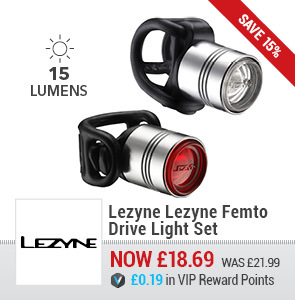 15% Off All Lezyne Lights plus Free UK Delivery + VIP Reward Points! 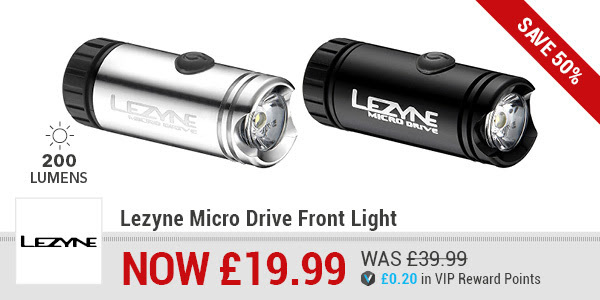 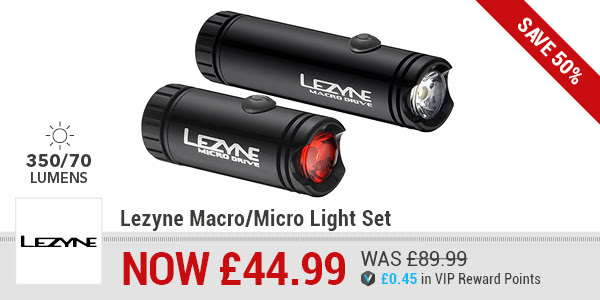 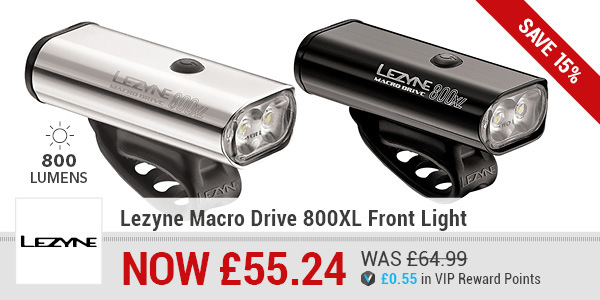 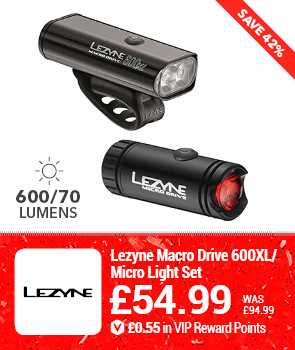 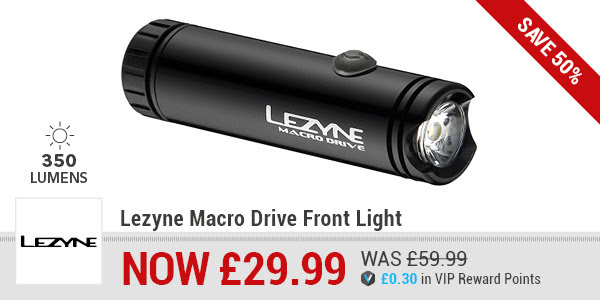 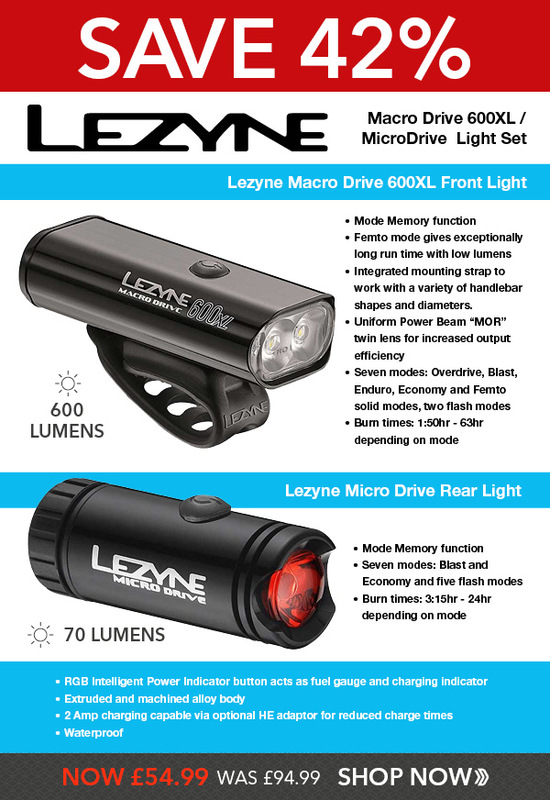 15% Off Lezyne Macro Drive 800XL Front Light Save £9.75 plus Free UK Delivery + VIP Reward Points! 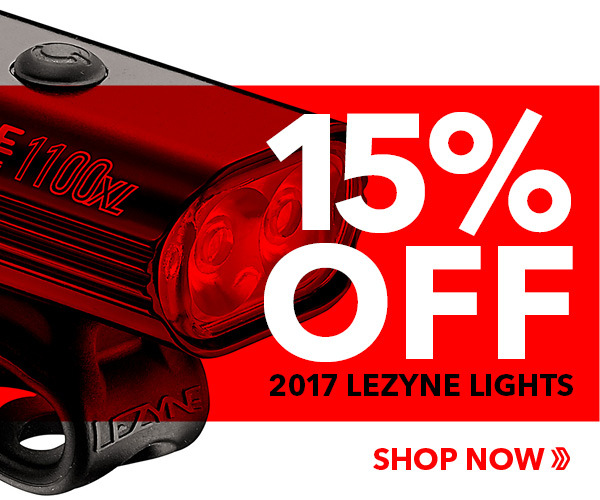 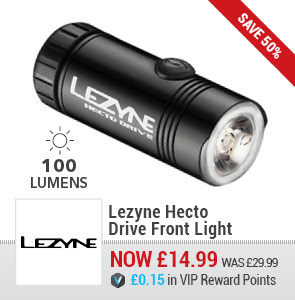 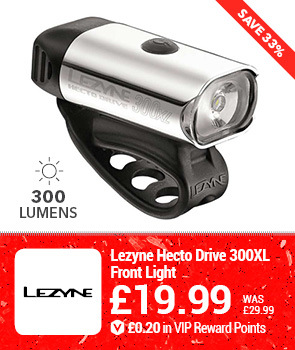 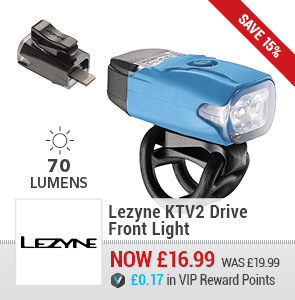 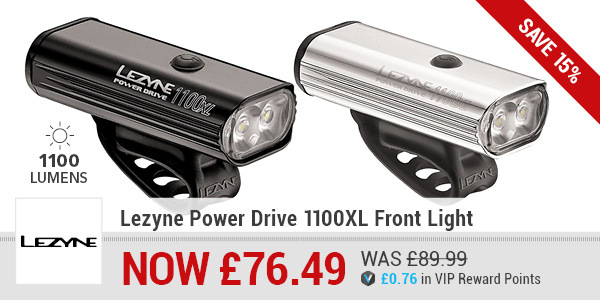 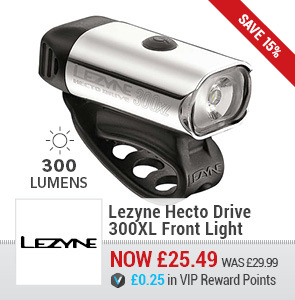 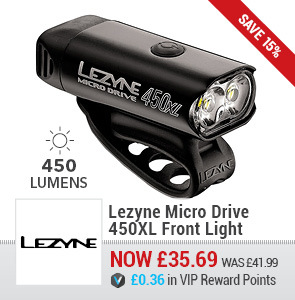 15% Off Lezyne Power Drive 1100XL Front Light Save £13.50 plus Free UK Delivery + VIP Reward Points! 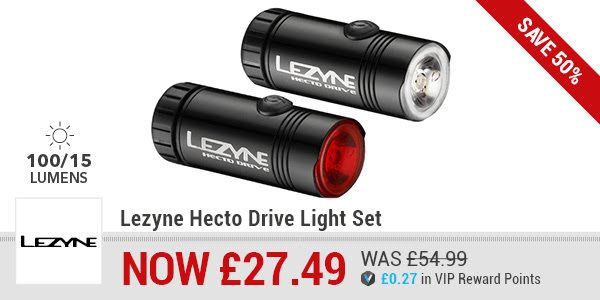 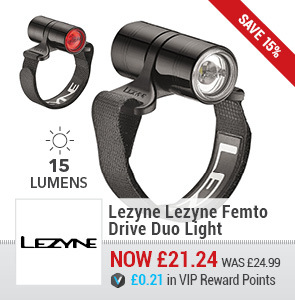 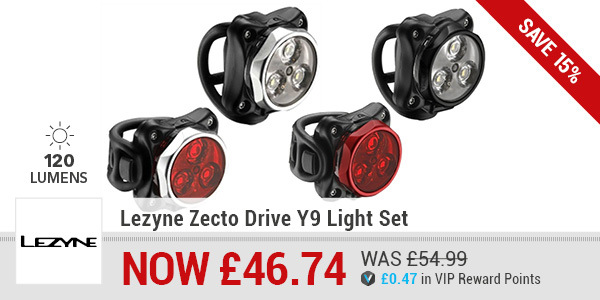 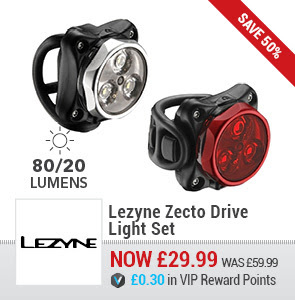 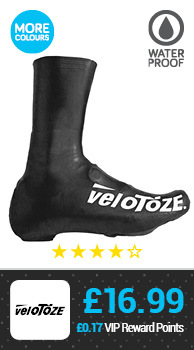 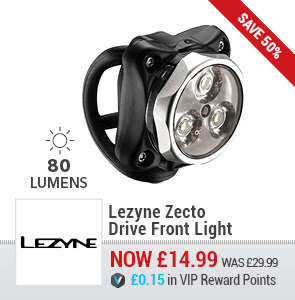 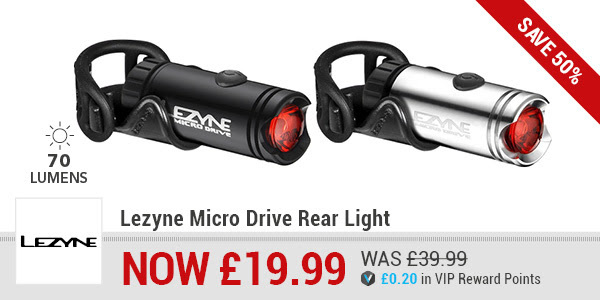 15% Off Lezyne Zecto Drive Y9 Light Set Save £8.25 plus Free UK Delivery + VIP Reward Points! 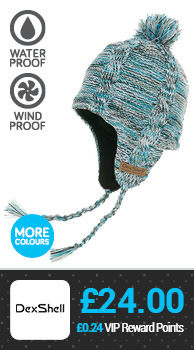 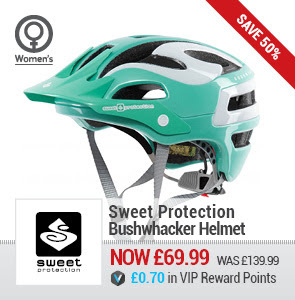 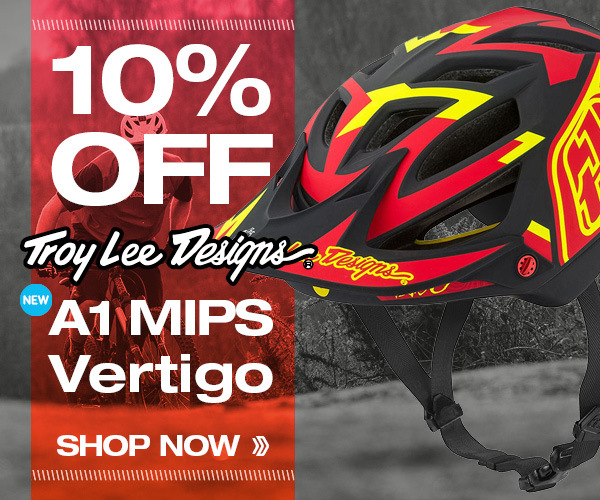 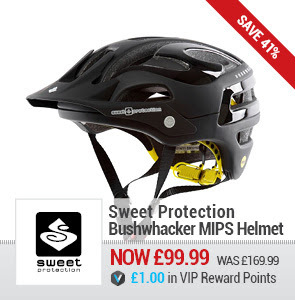 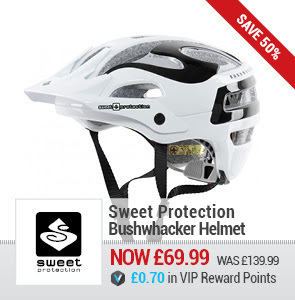 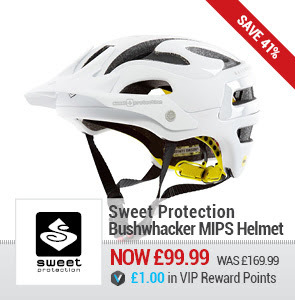 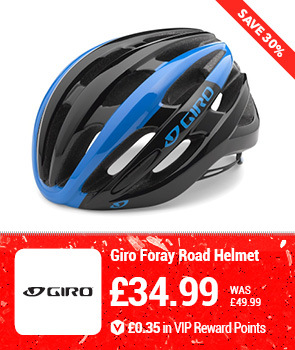 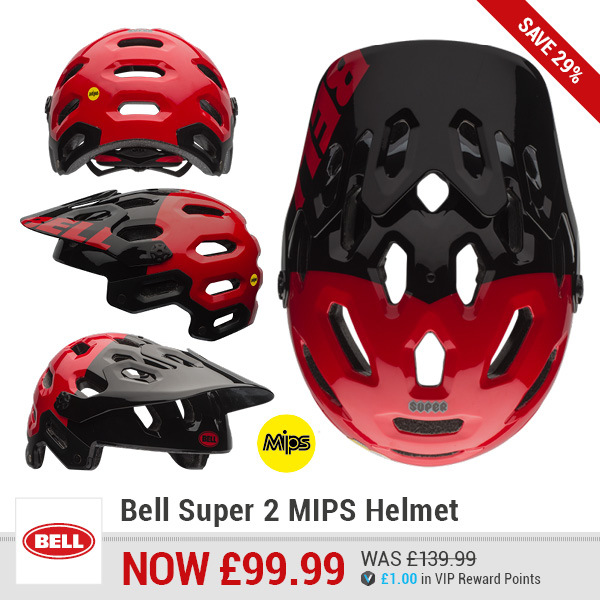 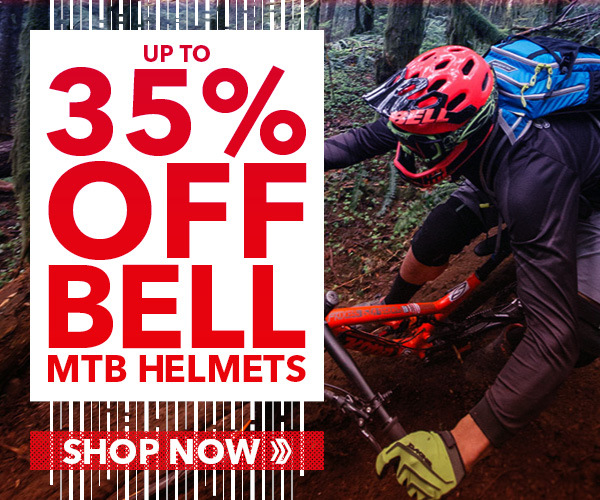 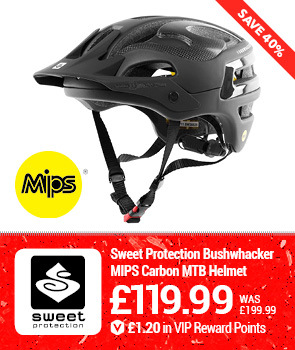 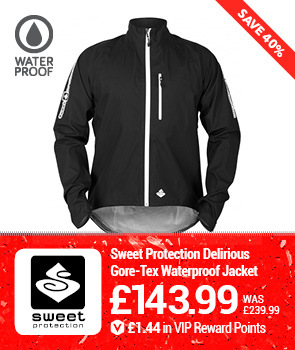 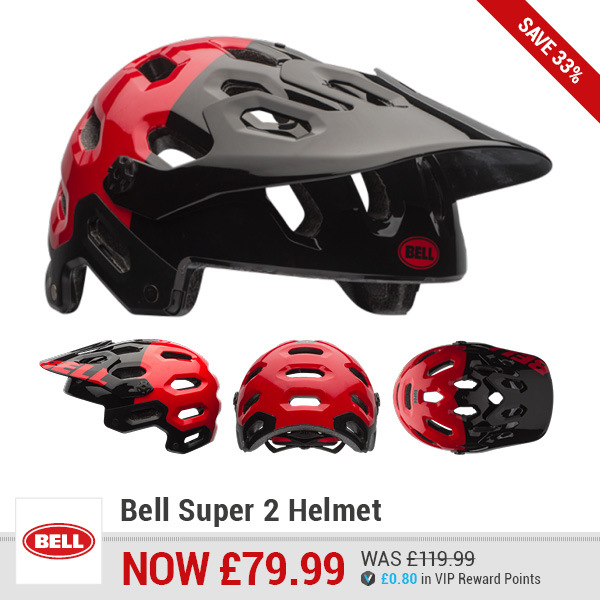 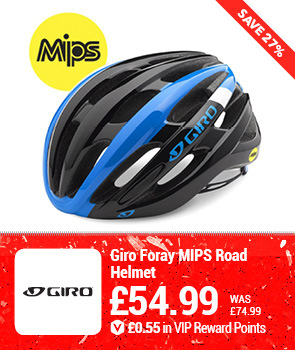 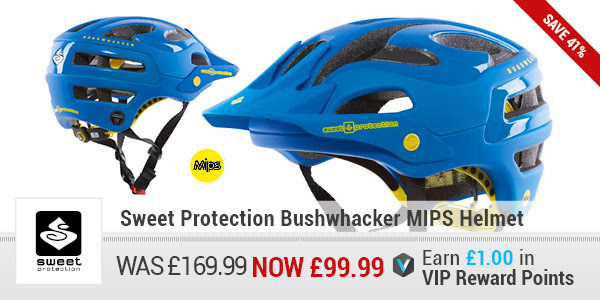 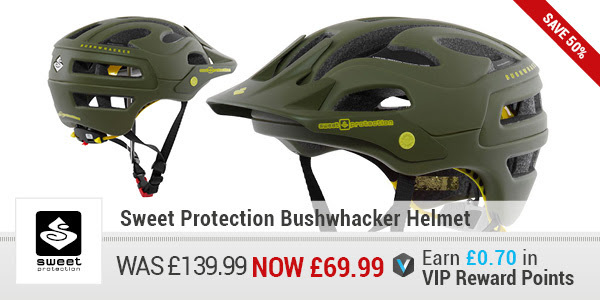 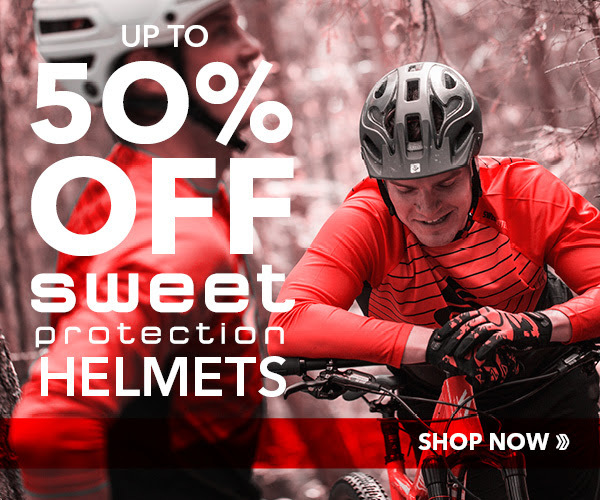 Up To 50% Off Sweet Protection Helmets, Free UK Delivery and 1% in VIP Reward Points! 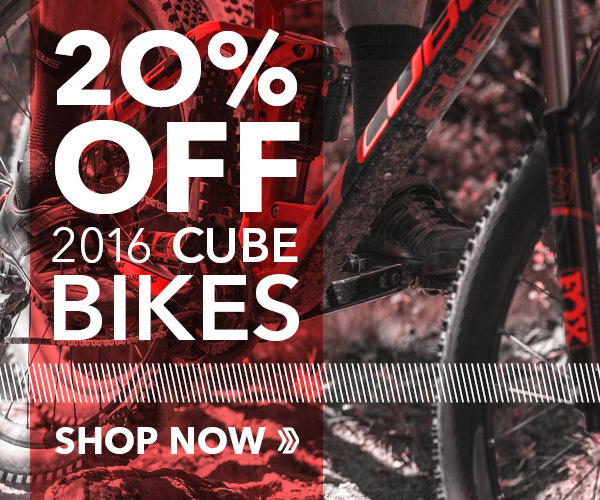 20% OFF ALL 2016 CUBE BIKES! 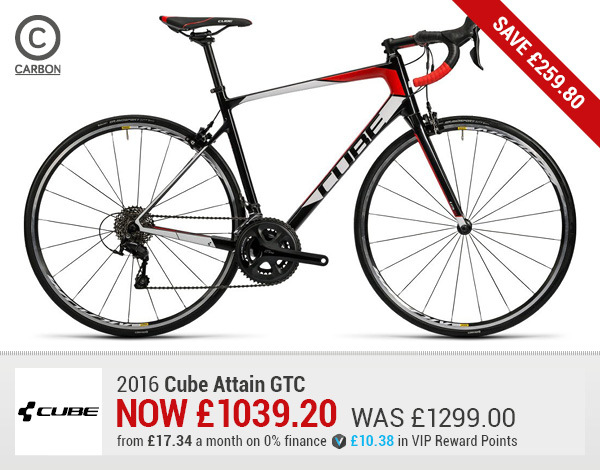 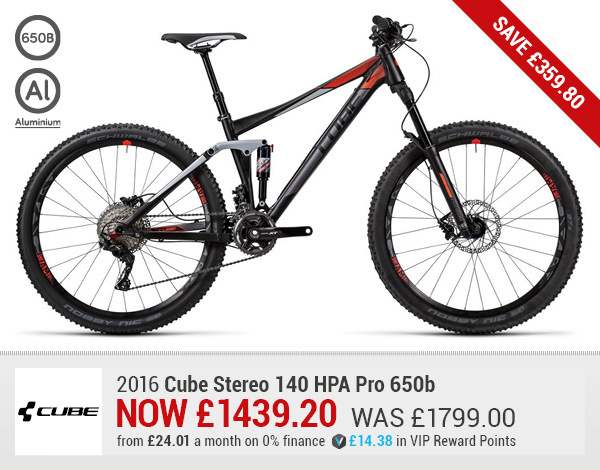 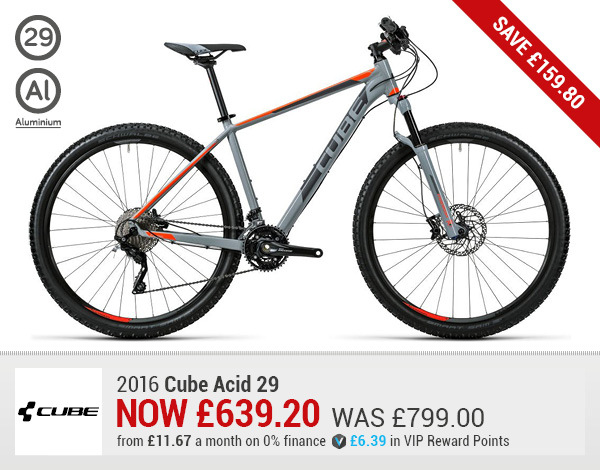 20% Off 2016 Cube Bikes + 0% Finance, Free UK Delivery and 1% VIP Reward Points! 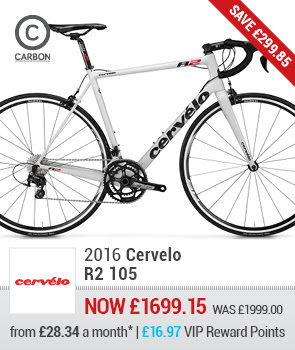 15% off all 2016 Cervelo Bikes + 0% Finance, Free UK Delivers and 1% in VIP Reward Points! 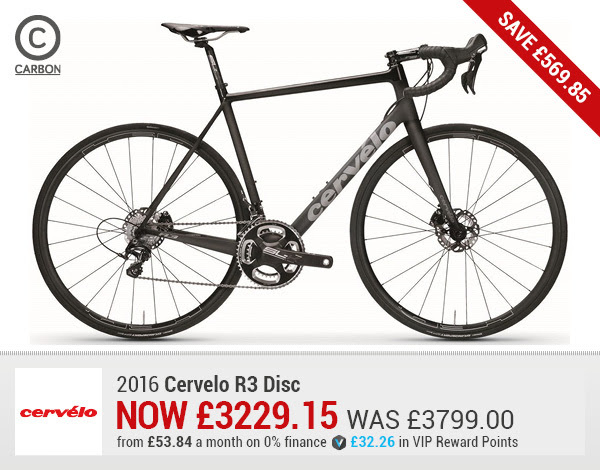 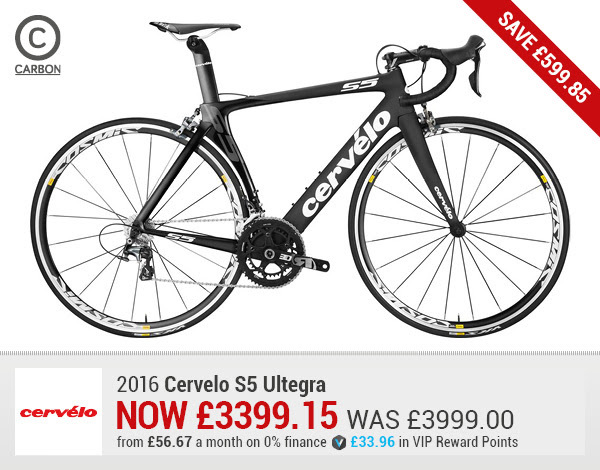 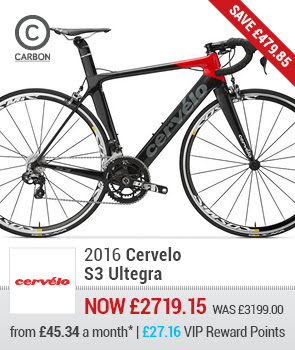 2016 Cervelo s5 Ultegra Racing Road Bike Now £3399.15 Save £599.85 + 0% Finance, Free UK Delivery and £33.96 in VIP Reward Points! 2016 Cervelo R5 Dura Ace Di2 Racing Road Bike Now £5609.15 Save £989.85 + 0% Finance, Free UK Delivery and £56.04 in VIP Reward Points! 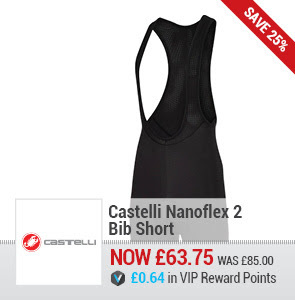 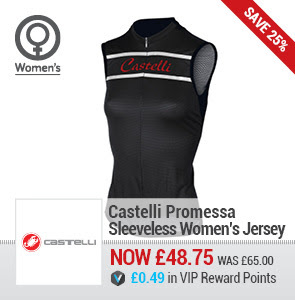 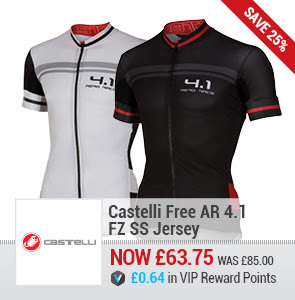 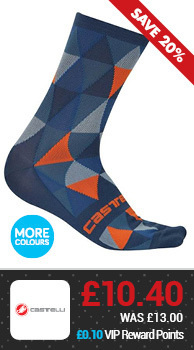 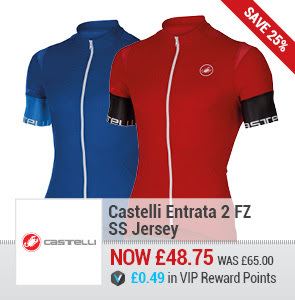 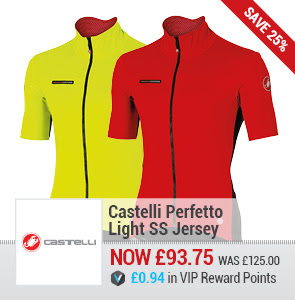 Up To 25% off Castelli Clothing + 0% Finance, Free UK Delivery and 1% in VIP Reward Points! 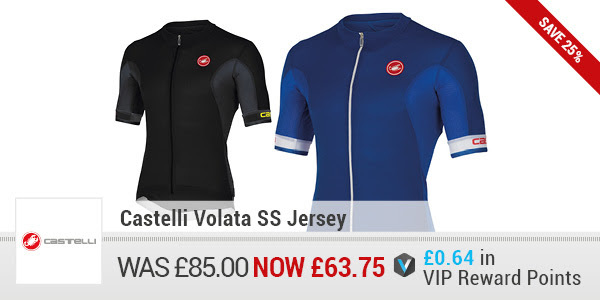 Castelli Volata SS Jersey Now £63.75 Save 25% + Free UK Delivery and £0.64 in VIP Reward Points! 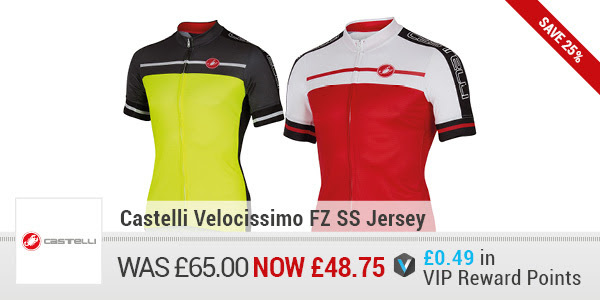 Castelli Velocissimo FZ SS Jersey Now £48.75 Save 25% + Free UK Delivery and £0.49 in VIP Reward Points! 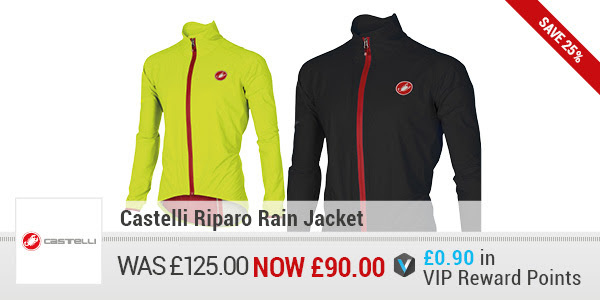 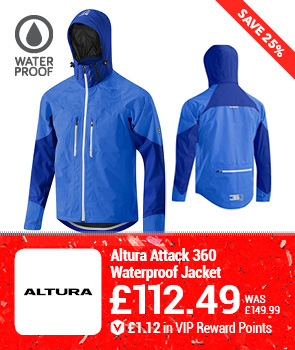 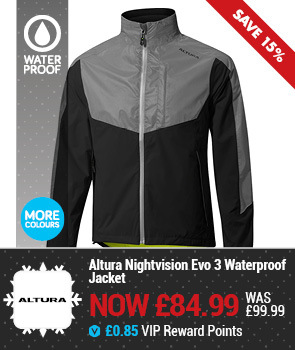 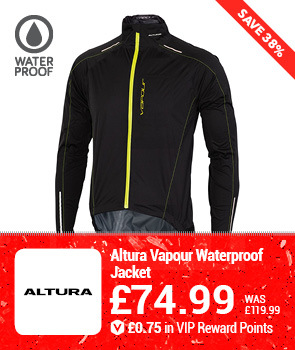 Castelli Riparo Rain Jacket Now £90.00 Save 25% + Free UK Delivery and £0.90 in VIP Reward Points! 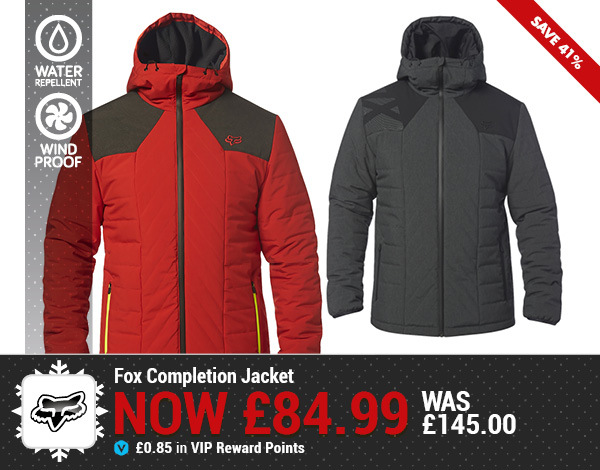 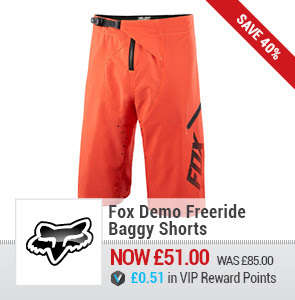 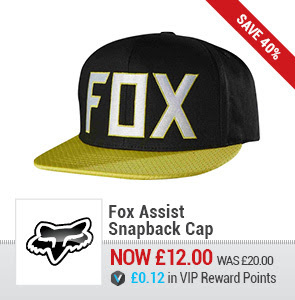 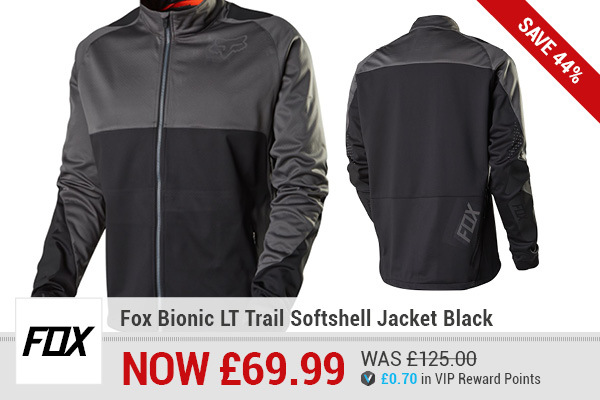 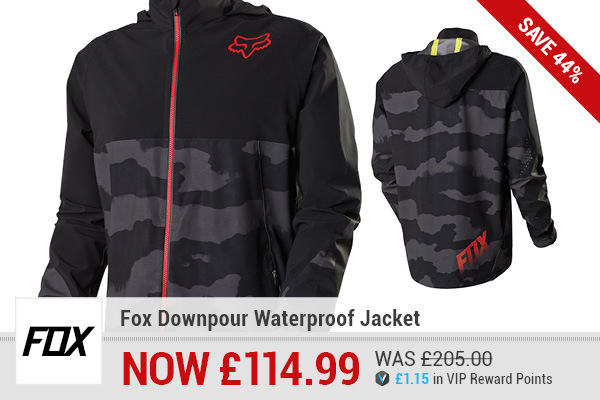 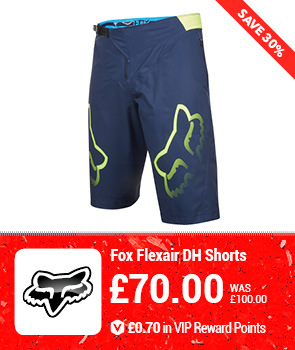 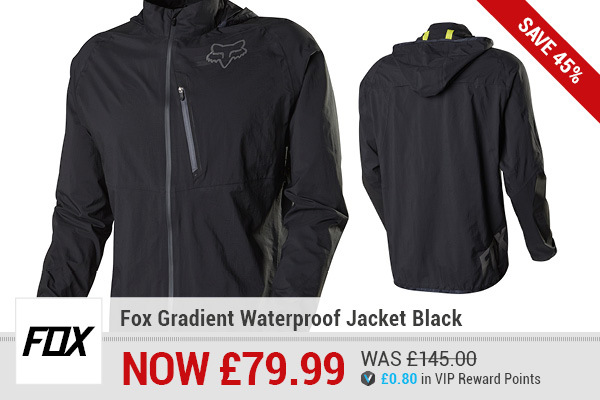 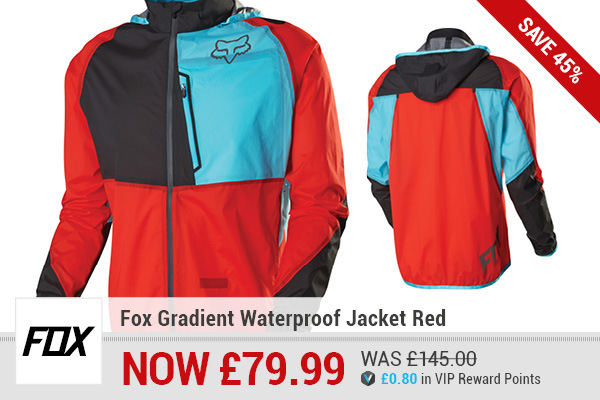 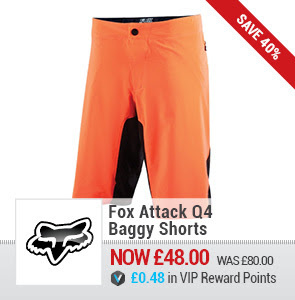 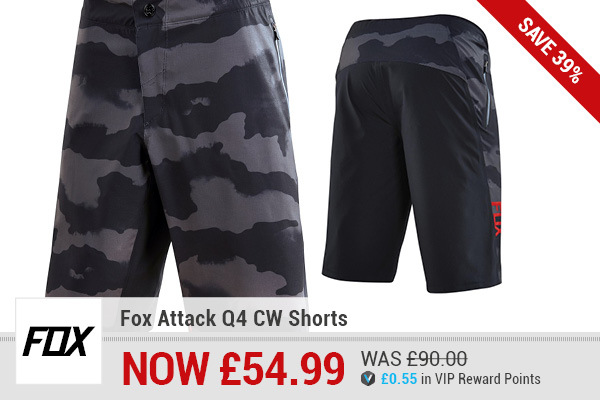 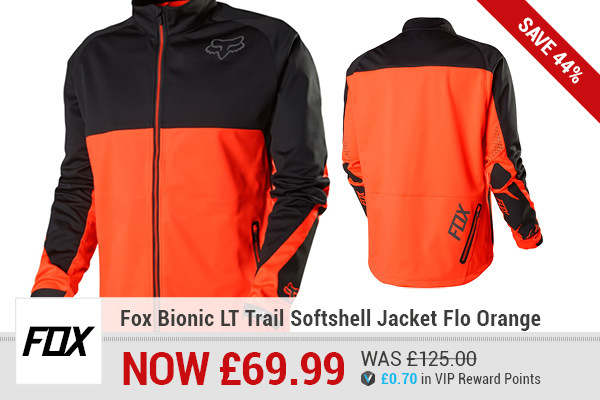 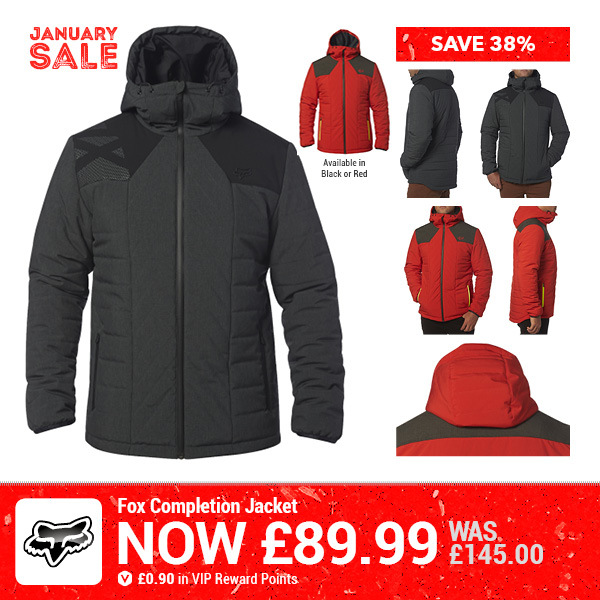 Up To 40% off Fox Clothing + 0% Finance, Free UK Delivery and 1% in VIP Reward Points! 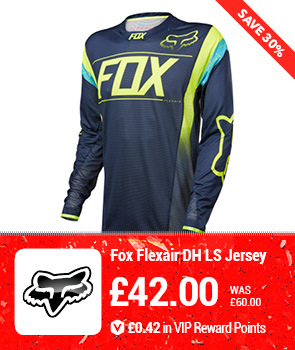 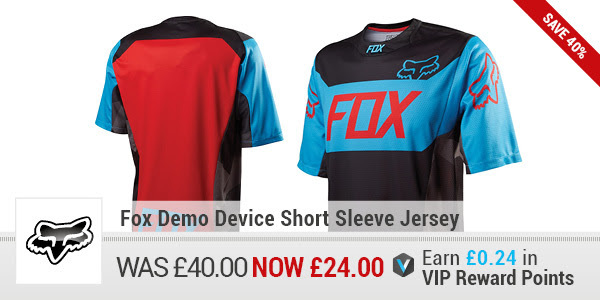 Fox Demo Device SS Jersey Now £24.00 Save 40% + Free UK Delivery and £0.24 in VIP Reward Points! 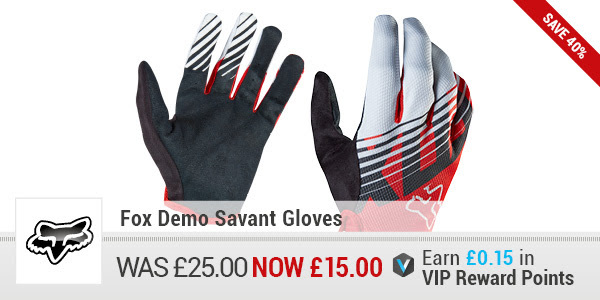 Fox Demo Savant Gloves Now £15.00 Save 40% + Free UK Delivery and £0.15 in VIP Reward Points! 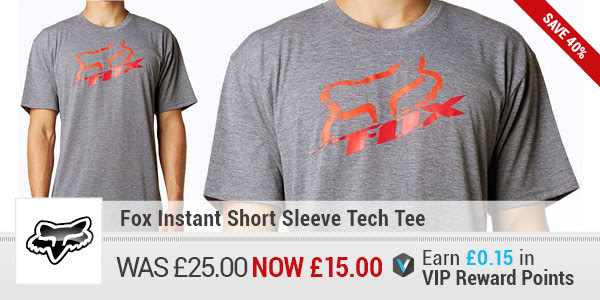 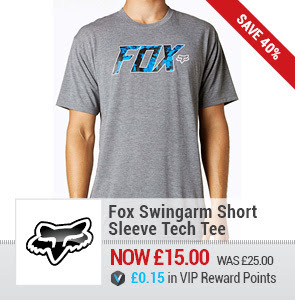 Fox Instant SS Tech Tee Now £15.00 Save 40% + Free UK Delivery and £0.15 in VIP Reward Points! 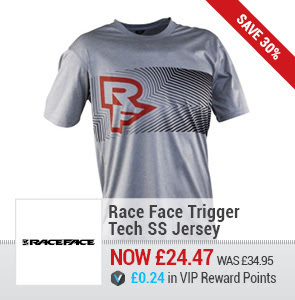 Up To 30% off Raceface + 0% Finance, Free UK Delivers and 1% in VIP Reward Points! 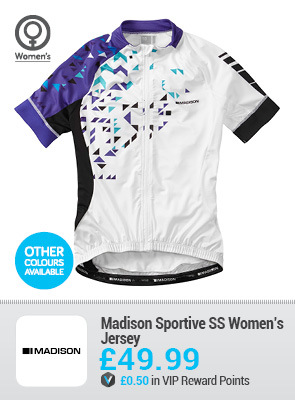 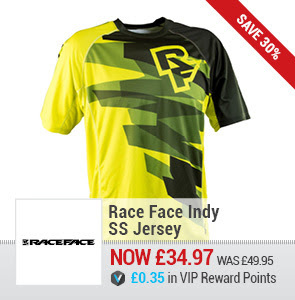 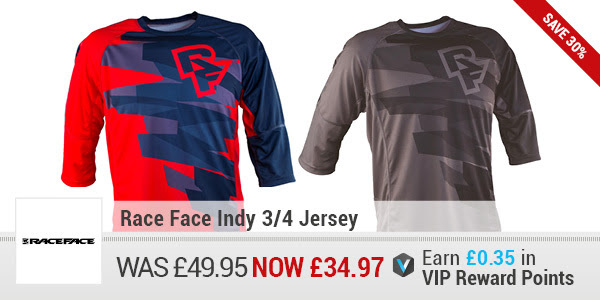 Race Face Indy 3/4 Jersey Now £34.97 Save 30% + Free UK Delivery and £0.35 in VIP Reward Points! 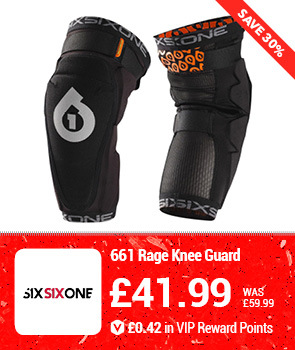 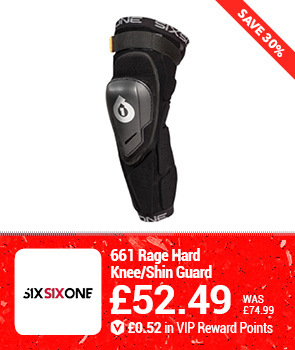 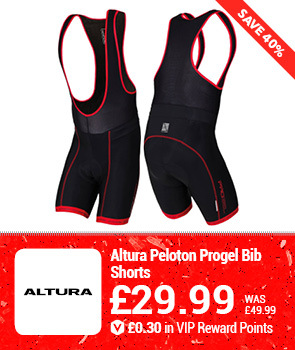 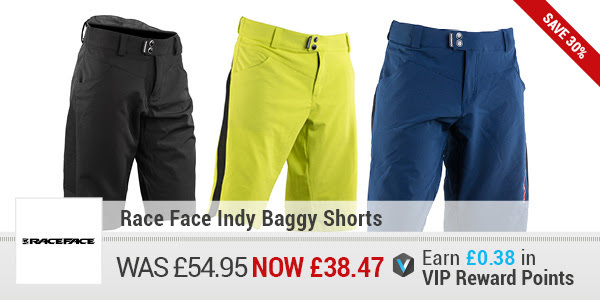 Race Face Indy Baggy Shorts Now £38.47 Save 30% + Free UK Delivery and £0.38 in VIP Reward Points! BIG SUMMER SALE - UP TO 63% OFF! 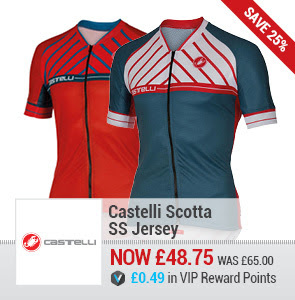 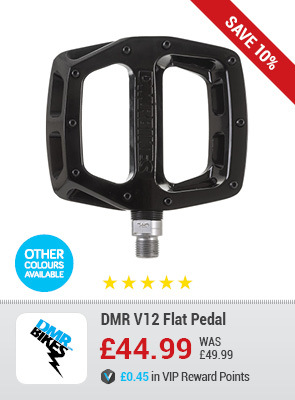 SAVE UP TO 63% OFF OUR TOP CYCLING BRANDS! 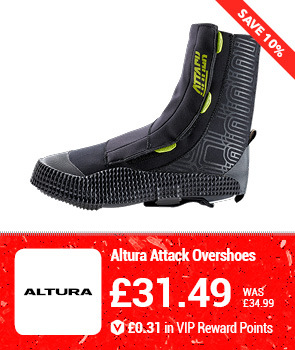 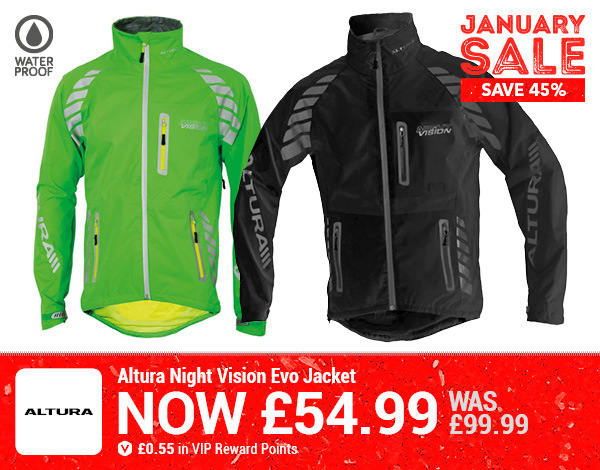 Up to 63% Off Altura + 1% Credit Back in VIP Reward Points! 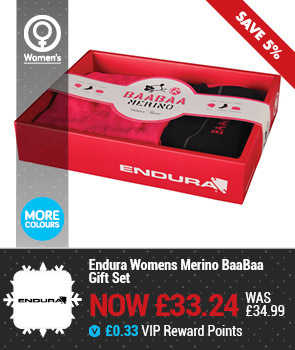 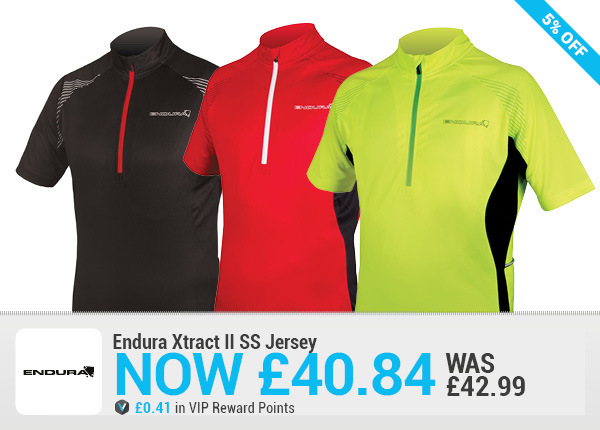 Up to 24% Off Endura + 1% Credit Back in VIP Reward Points! 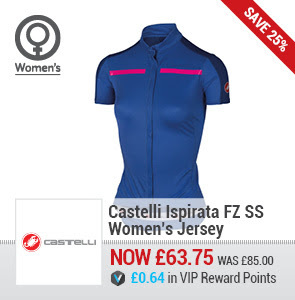 Up to 55% Off Specialized + 1% Credit Back in VIP Reward Points! 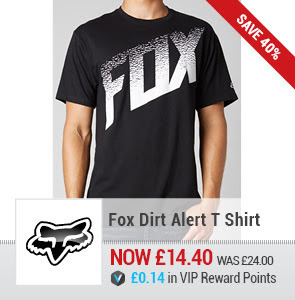 Up to 46% Off Fox Clothing + 1% Credit Back in VIP Reward Points! 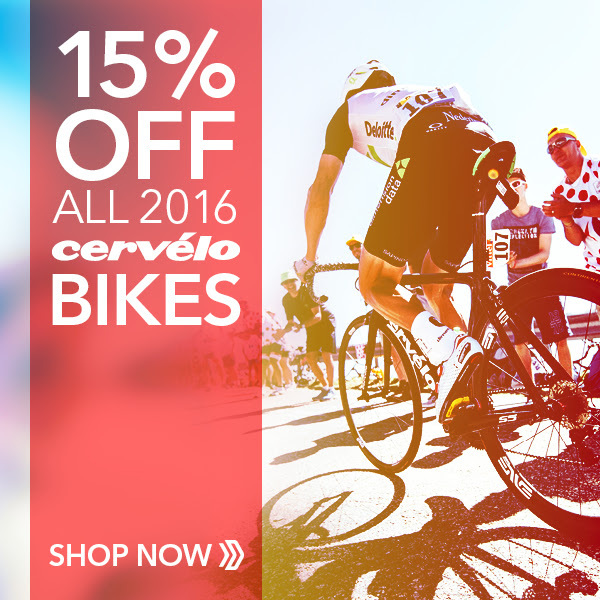 25% Off 2016 Specialized Bikes + 1% Credit Back in VIP Reward Points! 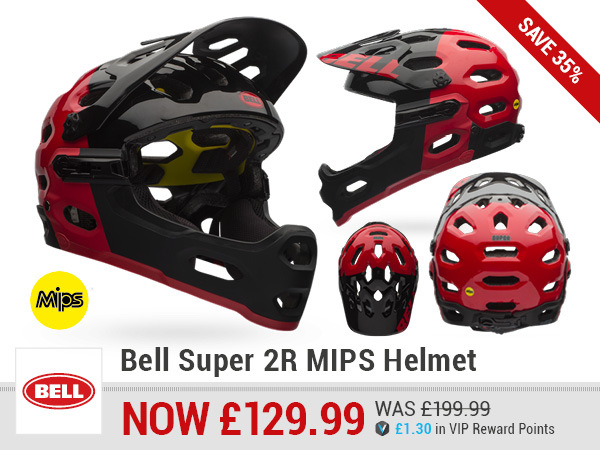 20% Off all Gore + 1% Credit Back in VIP Reward Points! 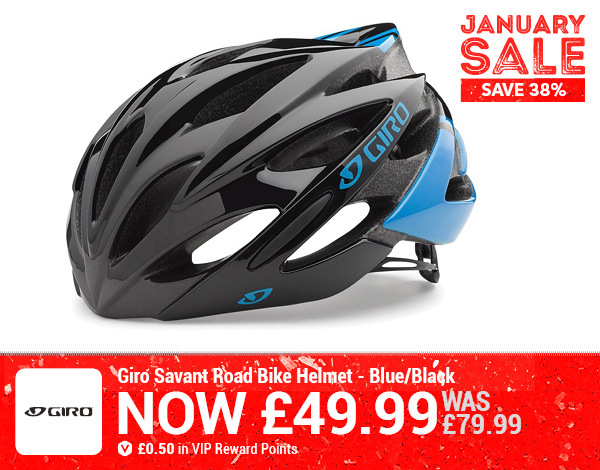 Up To 15% Off Giro + 1% Credit Back in VIP Reward Points! 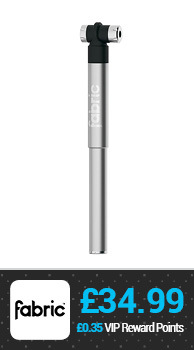 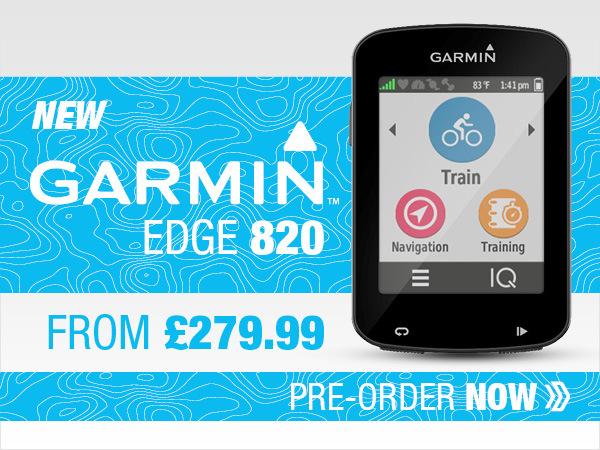 NEW Garmin Edge 820 in stock 15.07.16 - Pre-Order NOW! 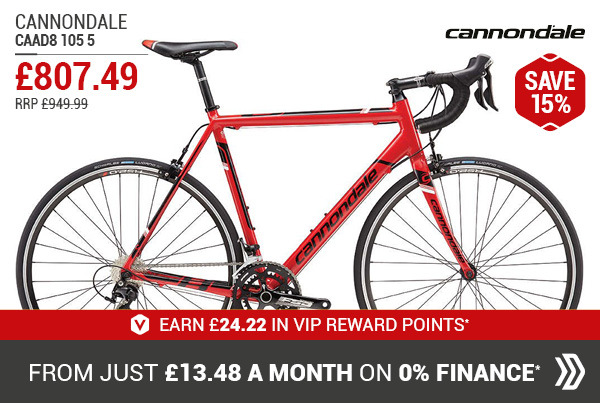 Garmin Edge 820 Road Performance Bundle £389.99 + £3.90 in VIP Reward Points, 0% Finance + Free UK Delivery! 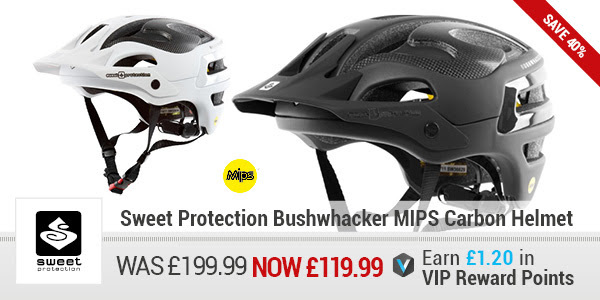 Garmin Edge 820 GPS Unit Only £329.99 + £3.30 in VIP Reward Points + Free UK Delivery! 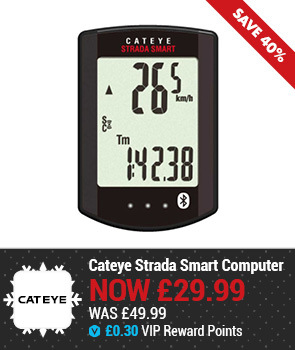 Garmin Edge 820 Explore GPS £ 279.99 + £2.80 in VIP Reward Points + Free UK Delivery! 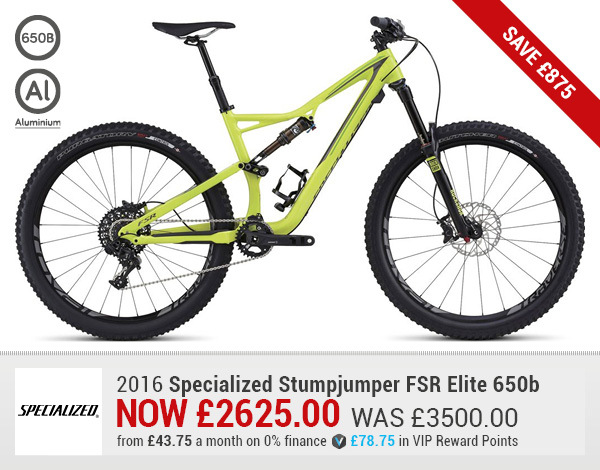 2016 Specialized Stumpjumper FSR Comp Carbon 6Fattie 27.5+ - 25% Off Now £2625 + £26.22 Credit Back in VIP Reward Points, 0% Finance + Free UK Delivery! 2016 Specialized Stumpjumper FSR Comp 6Fattie 27.5+ - 25% Off Now £1875.00 + £18.73 Credit Back in VIP Reward Points, 0% Finance + Free UK Delivery! 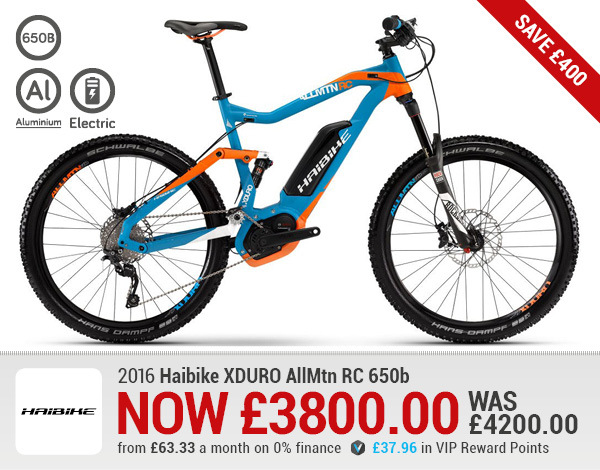 2016 Specialized Stumpjumper FSR Comp Carbon 650b Mountain Bike Blue 25% Off Now £2250 + £22.48 Credit Back in VIP Reward Points, 0% Finance + Free UK Delivery! 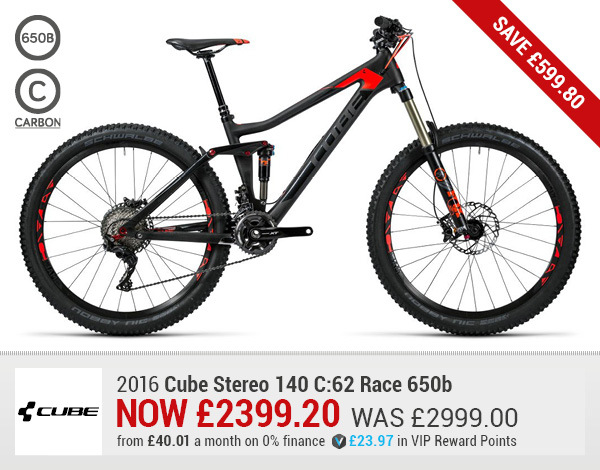 2016 Intense Tracer 275C Expert 27.5 Mountain Bike 25% Off Now £3899.99 Save £1299! 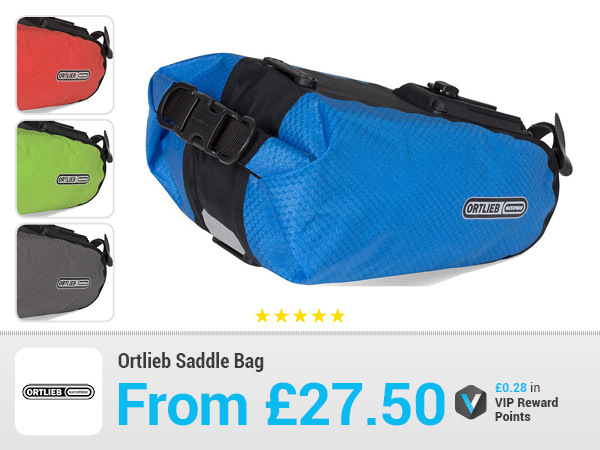 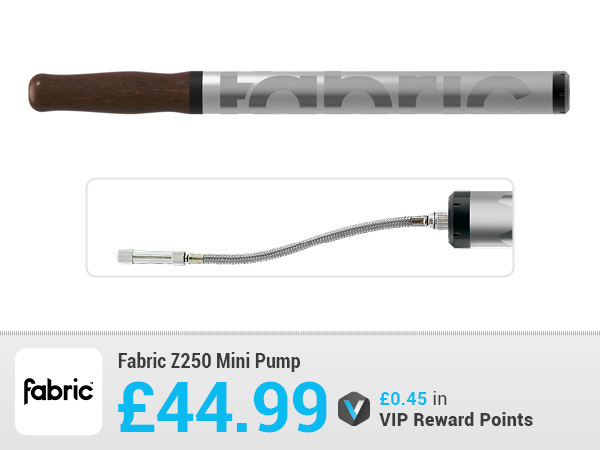 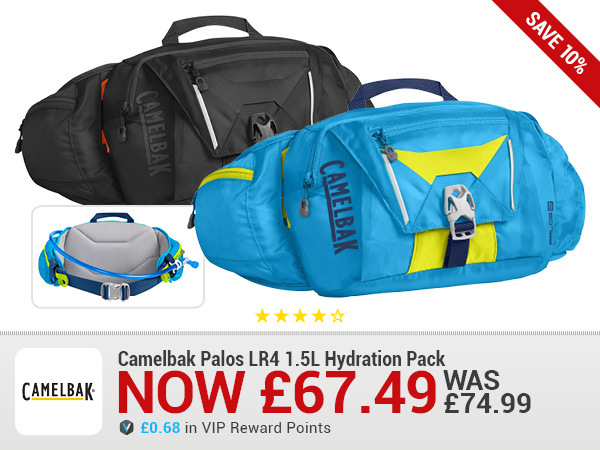 + £38.96 Credit Back in VIP Reward Points, 0% Finance + Free UK Delivery! 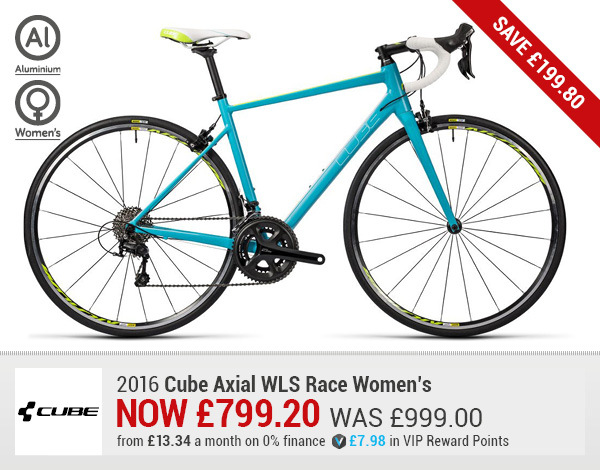 2016 Specialized Dolce Elite Womens Racing Road Bike 25% Off Now £750 + £7.49 Credit Back in VIP Reward Points, 0% Finance + Free UK Delivery! 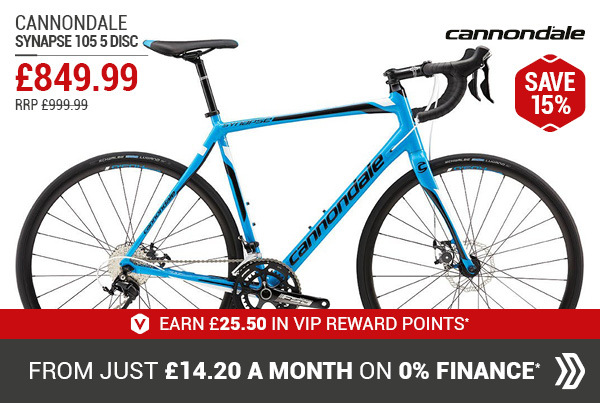 2016 Cannondale Synapse Carbon Ultegra Disc Di2 Racing Road Bike 15% Off Now £2762.50 + £27.60 Credit Back in VIP Reward Points, 0% Finance + Free UK Delivery! 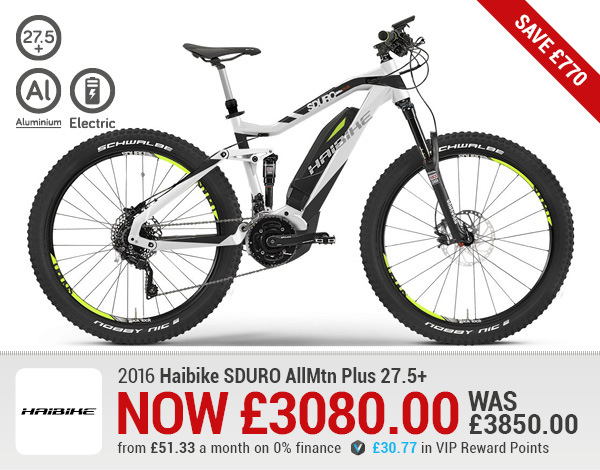 2016 Specialized Sirrus Comp Disc Hybrid Bike 25% Off Now £750 + £7.49 Credit Back in VIP Reward Points, 0% Finance + Free UK Delivery! 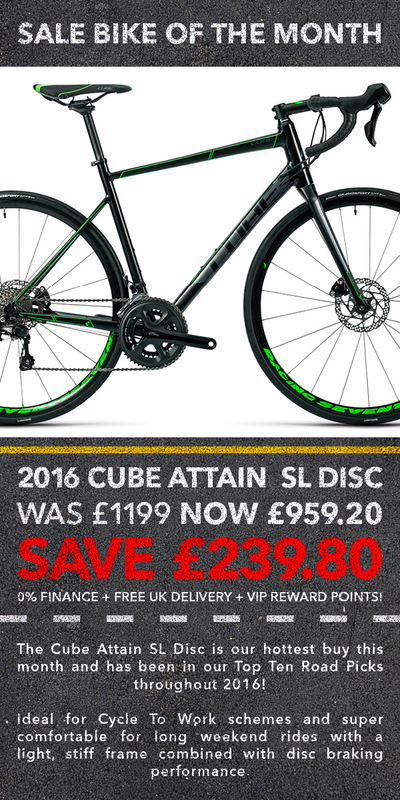 2016 Specialized Vita Comp Disc Womens Hybrid Bike 25% Off Now £750 + £7.49 Credit Back in VIP Reward Points, 0% Finance + Free UK Delivery! 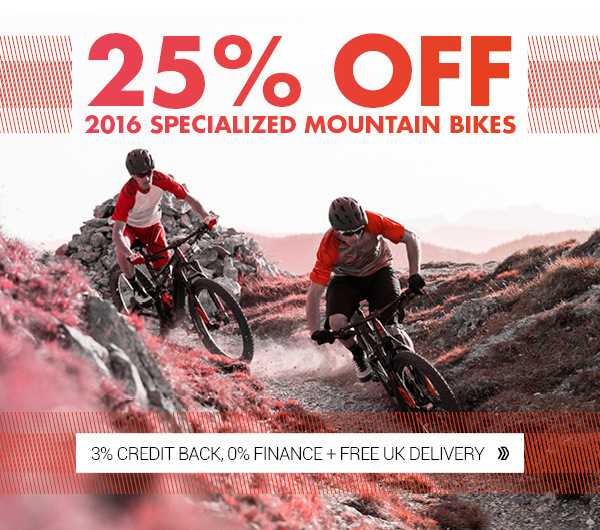 25% Off 2016 Specialized MTB Bikes + 1% Credit Back, 0% Finance + Free UK Delivery! 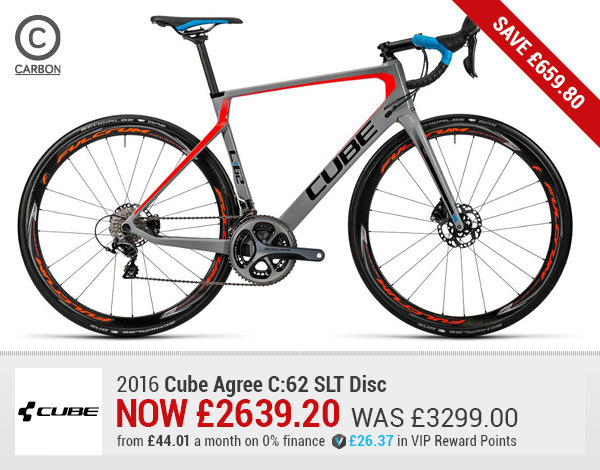 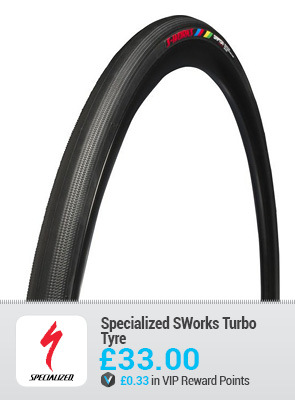 25% Off 2016 Specialized Road Bikes + 1% Credit Back, 0% Finance + Free UK Delivery! 25% Off 2016 Specialized Commute Bikes + 1% Credit Back, 0% Finance + Free UK Delivery! 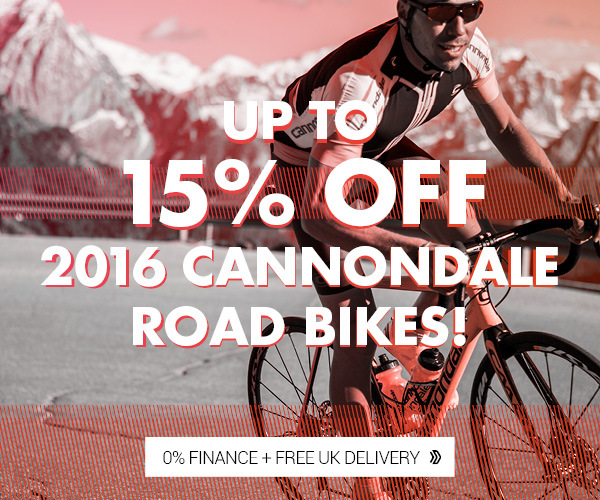 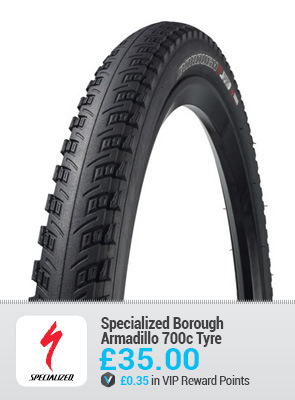 15% Off 2016 Cannondale Road Bikes + 1% Credit Back, 0% Finance + Free UK Delivery! 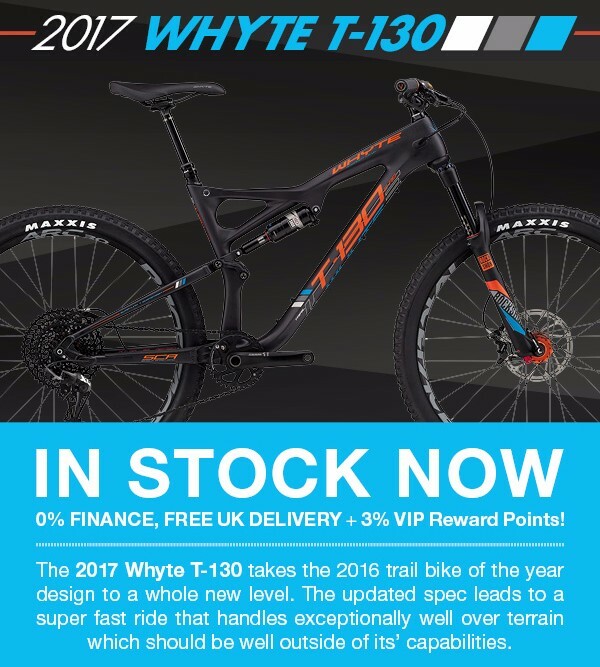 NEW 2017 Whyte T130 - IN STOCK NOW! 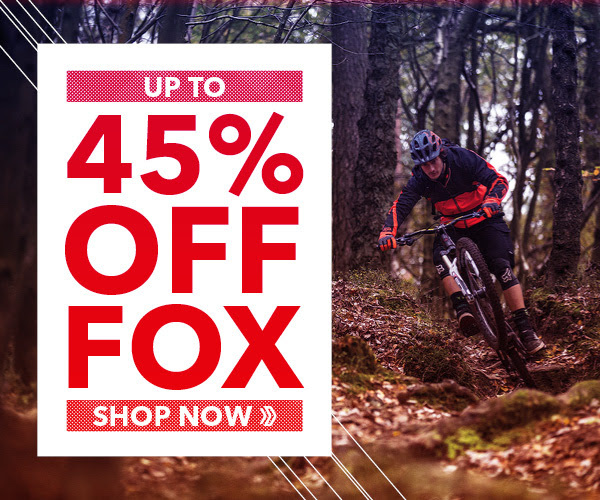 NEW FOX SEATPOST, SALE BIKES! 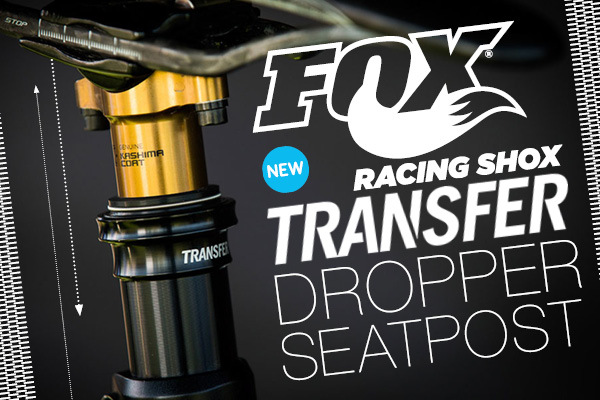 NEW Fox Transfer Dropper Seatpost - IN STOCK NOW! 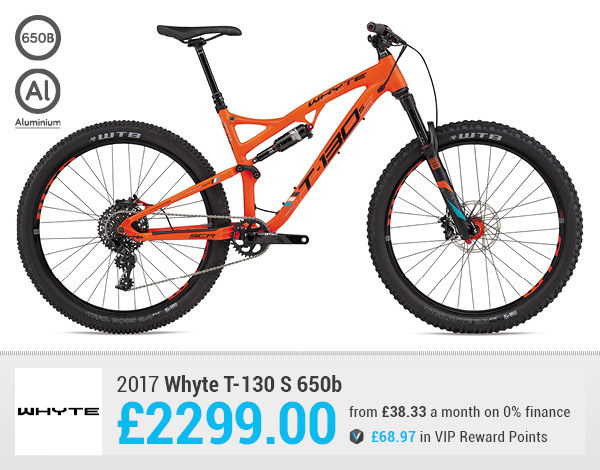 Top Brand Price Drops - Here To Stay! With the start of the TDF this weekend we have a Triple Points Reward Boost Promotion, and don't forget with our VIP reward points system you can build up your credit and treat yourself to something special! 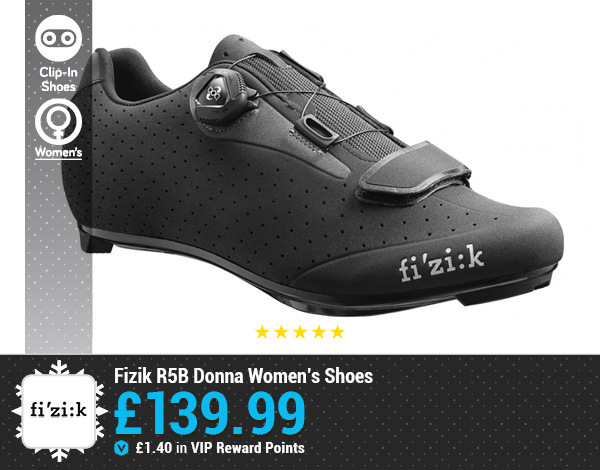 To celebrate the TDF we will be offering triple points on all helmets and shoes for the duration of the event! 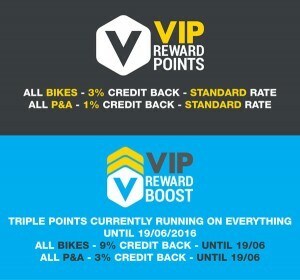 Leisure Lakes Bikes VIP Reward Points - Triple Reward Boost! 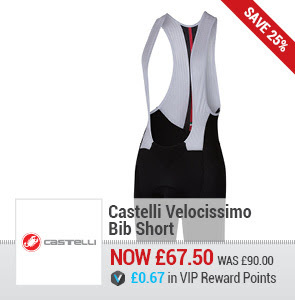 Our VIP Club Customer Rewards scheme allows you to earn points every time you shop with us. 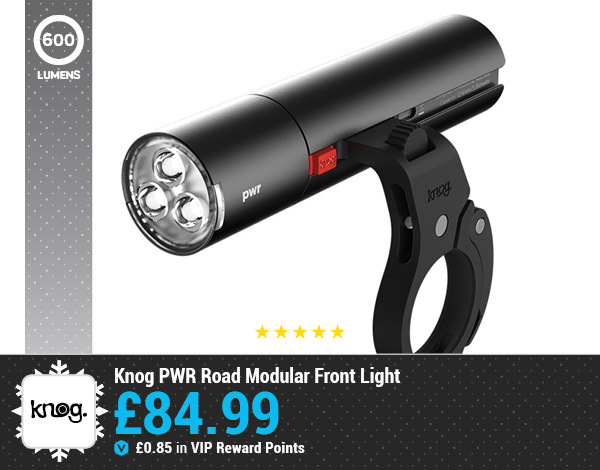 The points you earn can be used to spend on products both online and in store. 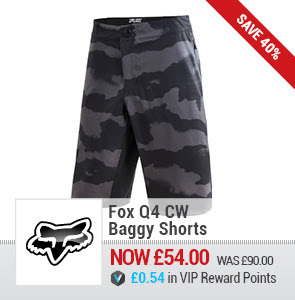 You can spend your points as soon as they're on your account, so you won't have to wait around for your savings. 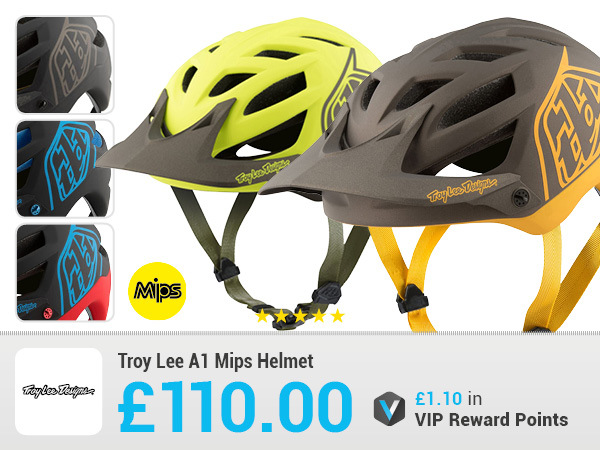 VIP Club is our way of rewarding each and every one of you as a thanks for making us your bike shop of choice. 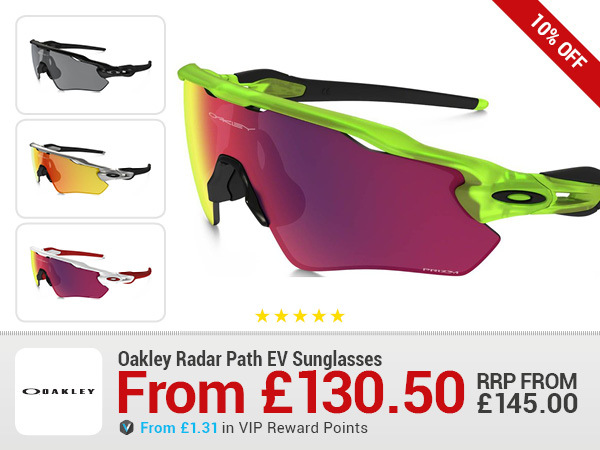 Earn reward points on everything you buy online. 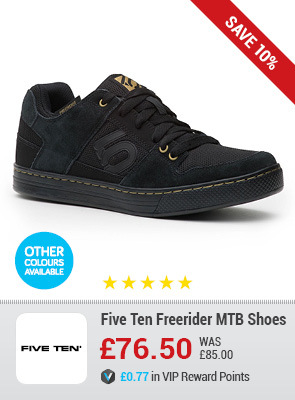 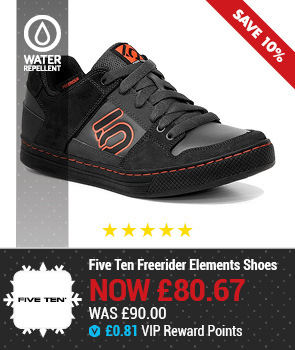 10% off Five Ten Shoes + Triple reward points! 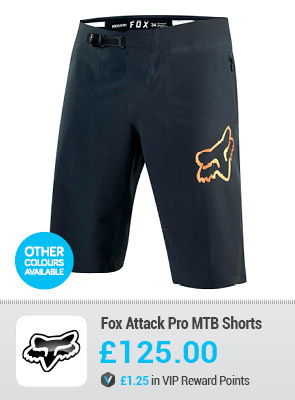 Just to give you all an update on the data feed... we will have a full product feed up and running in the next few weeks, with the move and launch of our new website it's been a busy time!